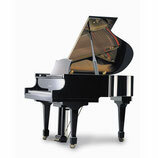 The NSG158 is a small grand piano with a difference. 140cm-168cm, or below 5 feet 6 inches in length. do not suit real pianists. looks good, but more importantly also sounds good. 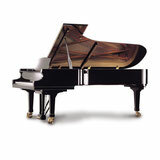 grand, it is a compact concert grand. with power, intensity and also delicate expression.